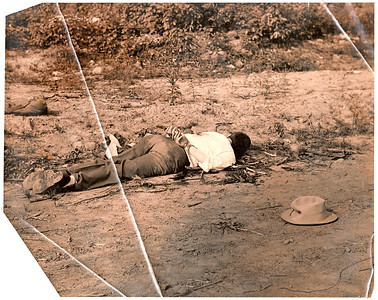 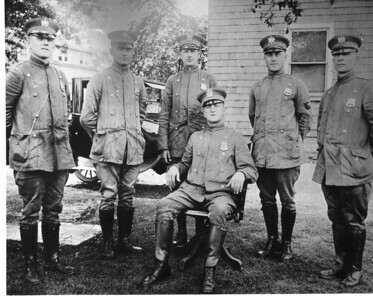 1917 Police force. 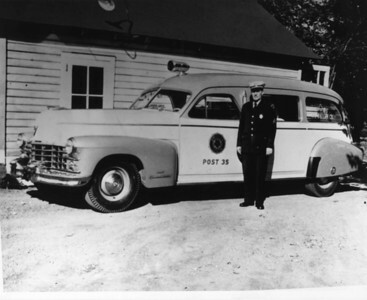 Chief Charles Hopkins in the chair. 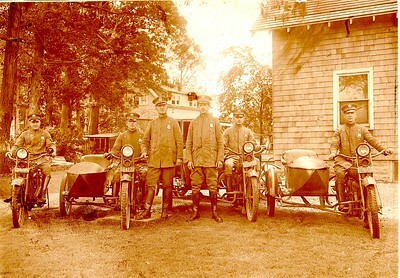 This could be in front of the chief's residence on West Chestnut St. 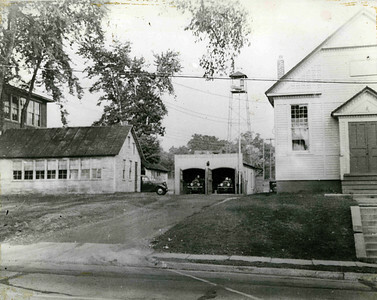 Early Fire Station with fire tower on the current site of Connecticut Farms School. 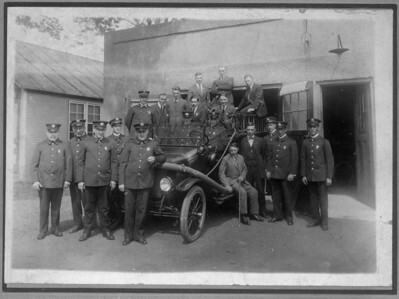 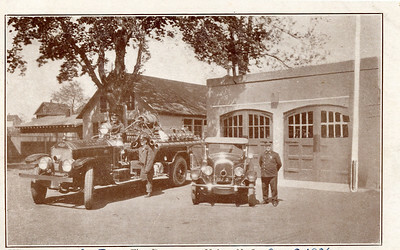 1915 Fire department in front of the first fire headquarters at the current site of Connecticut Farms School. 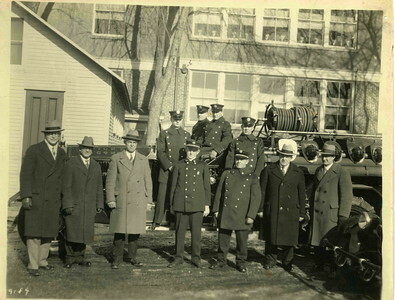 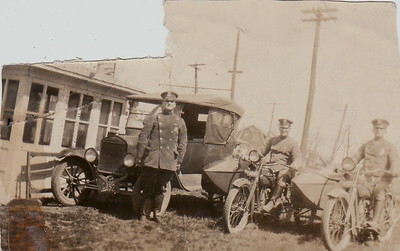 Firemen and Township Committee about 1925. 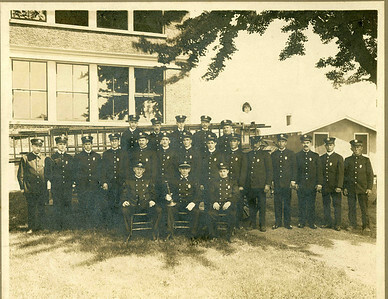 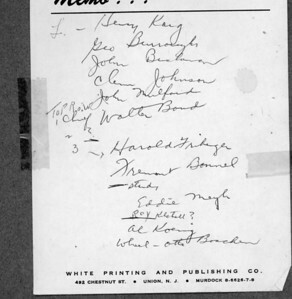 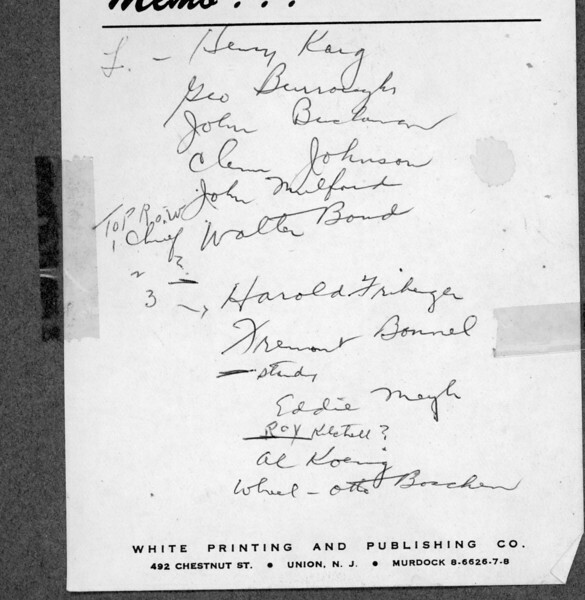 List of the 1915 fire department members in the previous photo. 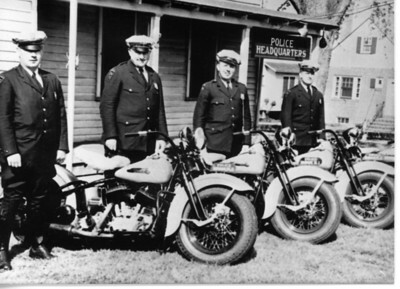 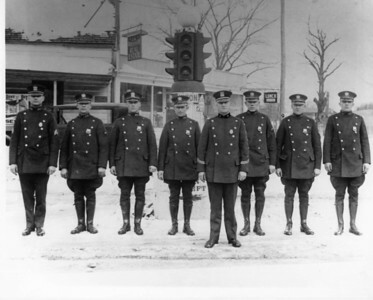 Police force in the 1930's in front of Police Headquarters on Stuyvesant Ave. 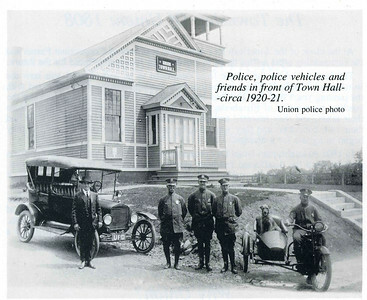 Present site of the Union library in the background. 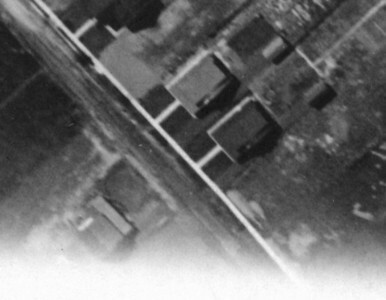 1923 Aerial of the future site of the Police Station on Caldwell Ave. (bottom left). 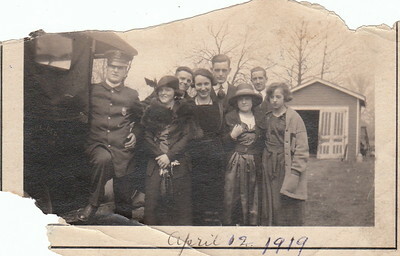 The house was converted for use. 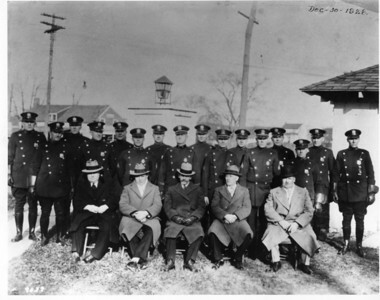 1930's Policemen in front of the Police Station on Stuyvesant ave. Click on the "Map This" button to see the location. 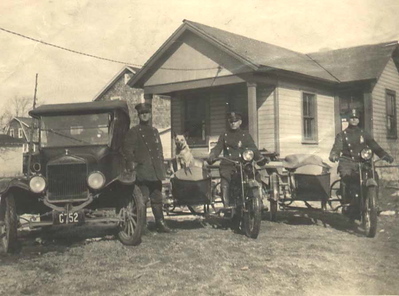 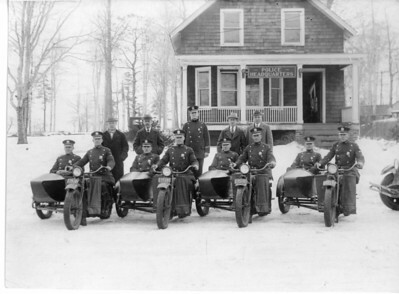 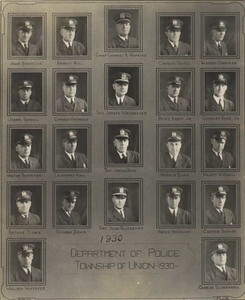 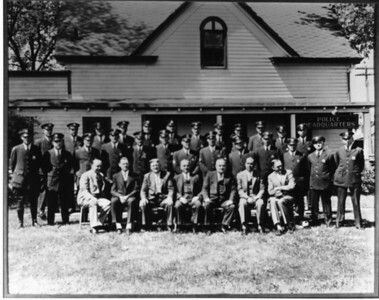 Police force and Township Commitee in 1928.